(Newser) – Norwegians made the news late last year with an innovative proposal to celebrate Finland's 100th birthday by gifting their neighboring country the summit of Mount Halti, which sits on the border of the two Scandinavian countries. 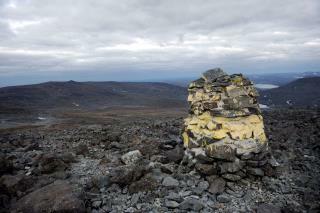 Most of the mountain is already in Finnish territory, the Independent reports. While the idea got a lot of viral traction online and popular support in Norway, now AFP says it won't be happening. The hang-up is a semantic one: Article 1 of the Norwegian constitution states that the kingdom of Norway shall remain "indivisible and inalienable." So no moving borders, no matter how slightly. Borders? What borders? Norway has borders?